We spent the day rebuilding our bikes. Innovations for this ride:a new front shock specifically customized for our Seirans,a new Rolhoff internal gear shift system,two new hubs with built-in dynamo generators,head and tail lights by Schmidt,a new more practical way of assembling and disassembling our already modified seats and carrier racks,new chain roller guides and bullet camera holder. Behind the curtains our new Ace in the Hole. 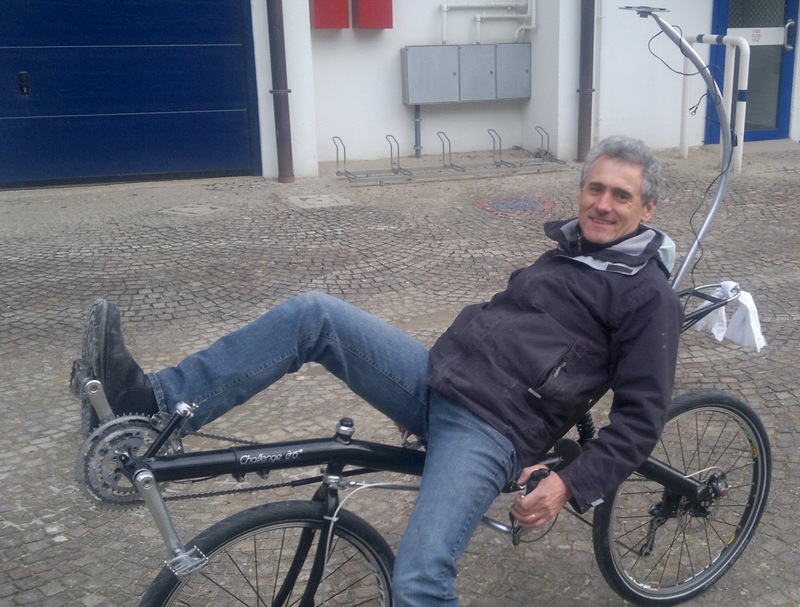 Our official "bike builder",the only one capable of building wooden bikes and aeroplanes with ease.The only one we can trust with our bikes.